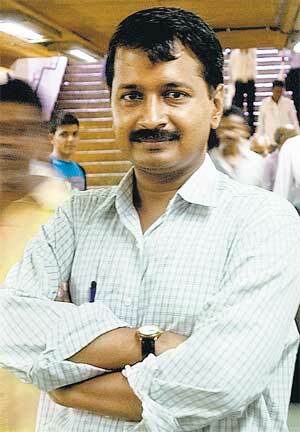 Politically Incorrect: Is supporting Arvind Kejiriwal necessary for Jan Lokpal? This is the question most of my friends ask lately - What really has changed with my support to Arvind Kejiriwal? When he was targetting Congress, you did not even think twice before echoing whatever he said. But once he started targetting BJP, you have started a vicious campaign against him. Why do you defend the corrupt in BJP at the same time attacking Congress for corruption? You should be more worried about the issue of corruption in the country than about a party. I thought it would be prudent to write this blog to explain what made me go against Arvind Kejiriwal. No more twists, my reasoning is plain and simple. Let me begin with why I supported Kejiriwal in the first place. Arvind Kejiriwal is a simple man. He is like you and me. We want to live in India that is corruption free. He wants to lead a life where he does not see his country being looted again and again by its own people. Where he is different is that he gave up his job to fight corruption, something most of us won't do. He also is bolder than most of us to raise his voice when he sees wrong, without caring about himself or his family. Rewind 1 year, and I still can feel my blood boil over scams. He being a qualified man felt to be my alter-ego. But then he did something I would never do. He took on the establishment over Jan Lokpal. Rewind 6 months, and I saw the movement grow stronger; but news of split between Anna and Kejiriwal was doing the rounds. To me, there was nothing to suggest that the movement would split. My question then was WHY? Why would Anna and Kejiriwal bring their personal interests in and spar over egos? After all, Jan Lokpal is above every person's ego - isn't it? That is where I was wrong about him. It probably wasn't above Arvind Kejiriwal's ego. I came to realize for the first time that egos gave birth to Jan Lokpal. Egos of several people. Mine included. Anna's core committee split over the ego clash. Jan Lokpal took a backseat when egos took over. That was the real reason for split. Now move to present. Where is the Jan Lokpal movement? Ask yourselves how frequently you hear the word "Jan Lokpal". How frequently do you hear the word "exposé"? What do you hear more frequently? "Exposé" or "Jan Lokpal"? "Jan Lokpal" is now used exclusively by Anna Hazare and Kiran Bedi. Arvind Kejiriwal exclusively uses "exposé". This fact is enough for me to move over to Anna camp. Why? Because when this movement started, it was only about Jan Lokpal and other constructive reforms like Electoral Reforms, Police Reforms and Parliamentary ethics. It was never about exposé when it all started. Why did Arvind Kejiriwal orphan Jan Lokpal in favour of exposé? I do not know. It has to do with ego I guess. The only thing I can speculate is that he could be taking revenge on politicians for having issued him a notice on an Income Tax department law he broke (they asked him to pay a sum of 8 Lakhs for violating educational leave provision). Next, the question comes if I still support Jan Lokpal. I do with all my heart. 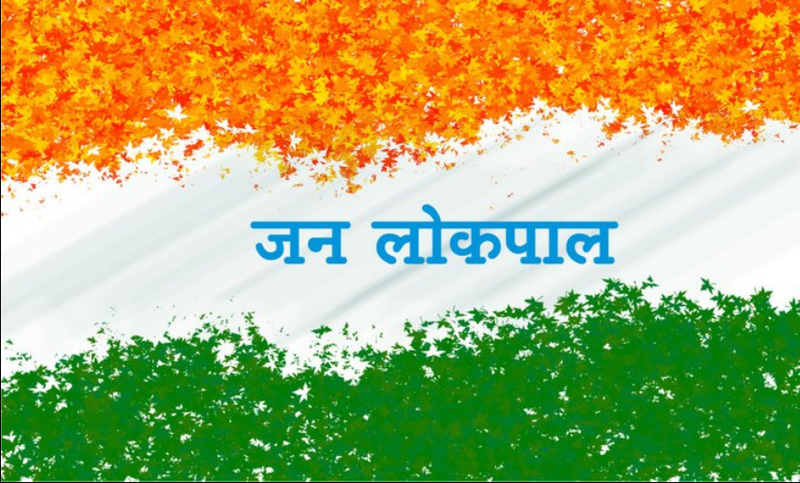 I support the cause of Jan Lokpal and I will vote whoever brings it. So why do I not support Arvind Kejiriwal anymore? Because Arvind Kejiriwal is not Jan Lokpal. Arvind Kejiriwal represents his ego, not Jan Lokpal. It is Anna and Kiran Bedi who represent the Jan Lokpal movement. Anna's methods are more civilized than Arvind's. Anna and Kiran Bedi have never let their egos take over. The day they do, they as well will lose my support. Now comes the next important question - Can one support Jan Lokpal without supporting Arvind Kejiriwal? Answer is YES. Why? Because Jan Lokpal is a movement and Arvind Kejiriwal is a medium. Movement can live on without the medium that started it, as long as there are others to take it forward. Arvind Kejiriwal is no more a neccessity for Jan Lokpal movement. Another major reason I support Anna Hazare over Arvind Kejiriwal is that Anna Hazare targets parties in power. Arvind Kejiriwal targets everyone other than himself. To me it does not make sense to target a party or an individual that does not have power. Coming to my alleged bias towards BJP on the issue of corruption. I am biased towards BJP where it is not in power. BJP is not a party of the uncorruptable, as we have seen with Bangaru Lakshman and Yeddyurappa. In whichever states BJP is in power, its govt should undergo a thorough scrutiny on the issue of corruption. Movements should be launched by BJP supporters themselves to keep the corrupt out of power. They should be punished severely if they indulge in any corrupt or immoral activity. I still support the Jan Lokpal movement with all my heart. I do not support the personality cult of Arvind Kejiriwal. If I thought that Jan Lokpal needed Arvind Kejiriwal, I would in effect only be supporting the cult of Arvind Kejiriwal and not the Jan Lokpal. Arvind Kejiriwal is not Jan Lokpal. Not supporting Arvind Kejiriwal does not amount to supporting BJP on issue of corruption or ditching the Jan Lokpal movement. Nice blog. Here is my brief view on the topics: Expose and the movement for Jan Lokpal need to co-exist. Expose provides the reason and a strong Jan Lokpal can provide the medium to weed out corruption. Given the scale of corruption in India we need several Kejriwals and Annas for this to happen. You made a perfect point that we rarely hear of "Jan Lokpal" these days. Congress and their paid-media outlets definitely have a ulterior motive for this to happen. Kejriwal like you pointed out is busy with expose. Anna's camp is a damp squib. BJP like Congress is nose deep in corruption, so their lack of enthusiasm for Jan Lokpal is understandable. So at the end of the day, common man in India is on the losing side. I believe exposé should not be done at all, and if done it should be ethical. Most of the exposé that AK has done until now have been with half evidence. He 'exposed' Gadkari with sent-SMS and calendar. If you follow Kiran Bedi and Arvind Kejiriwal on twitter, you will see that only Kiran Bedi uses "Jan Lokpal" term. No one else does (not even AK). BJP is corrupt no doubt, but not as much as Congress. I should acknowledge that. Unless BJP actively weeds out the last shred of corruption, it will not find takers and election will be a cakewalk for IAC in spite of good work done by BJP CMs. That will be the decimation of BJP. Common man lost again to fate the day Anna and Kejiriwal split. Now God only knows how things will play out. Ideally yes, expose should not be done. But given that the crime fighting agencies are govt controlled, a common man is left with no option to resort to such expose to fight against corruption. You may not believe it, but whenever I go to a BJP party office, local MLA/MLC's office, city corporation office, or to a police station I take a hidden camera and a voice recorder with me. You may think this is crazy, but I and my friends have been cheated and lied to in several instances. These electronic media devices kind of provide me a (false) sense of security. But then something is better than nothing rt? I have felt the same myself when I visited police stations, govt offices and and party offices! Do you believe going to IAC party office would be any different? Only time will tell how things will work out. Very true, time will tell. I totally agree with your view points. Sadly aam admi like us are on the loosing side. Thanks for replying, Rishi. Actually we have a lot of things left to do as aam aadmi. We always look upon someone else to solve our problems, while doing little ourselves. We have to keep the movement alive by refusing to pay bribes. I was so inspired by the movement at one time that I used to say no to bribe without caring for consequences. I do that even now, but the drive is not as much as before. Nevertheless, hope is not lost. We still have a lot left to do. i try not to comment on what you say, for fear of getting personal again! :) but u tempt me! again! so much for you support for "lokpal" (or lokayukth) where is Gujarat lokayukt!?? forget anna, where is our beloved BJP on lokpal? they are a party with sufficient power to make enough noise about it! when anna spoke they supported him, when anna is silent they "forgot" it.. surprising isnt it!? and where is lokayukta in karnataka!?? Pai maam, I regret putting my comments last time that way. Sincere apologies. The questions you asked are exact questions I want to ask BJP. You will see my blog on that topic very soon. As I have said above, unless supporters demand answers, BJP will continue to be fast asleep. It is time we stopped taking BJP for granted on issue of corruption and demand answers from them directly. 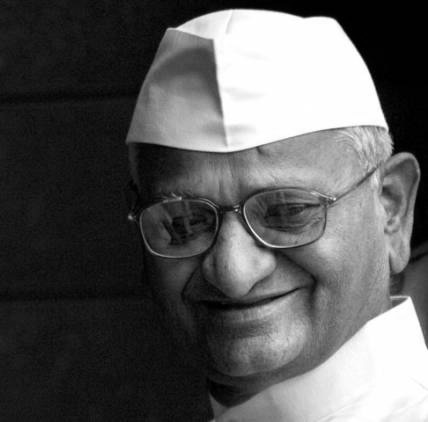 Anna Hazare may attack BJP when it is in power. He will lose my support if he attacks BJP in opposition. Actually, he will lose my support if he attacks Congress in opposition as well. It is because opposition parties have little in their hands. Attacking opposition serves only to divert the attention from corruption happening live. AK is doing it purely for votes. He would not have attacked opposition had he not formed a political party. I understand that your main gripe seems to be the way Arvind Kejriwal does these exposé's. I agree. It creates a hell lot of confusion when one does this. After every exposé, we start hearing the defence from the other side and it suddenly looks like Arvind said some lies. Then some Arvind supporters come on TV and blogs and give their argument and it goes on. We start to wonder who is talking the truth. There are some valid doubts raised by Arvind. Some of them may be true and some may be false. It must be argued in court. It definitely needs some investigation. This is where we get stuck. Well... who will do the investigation? The CBI who is under the clutches of the government? Then we start realising the need for Lokpal. Then we start blaming the central government for not passing Lokpal. We start believing that BJP will come to power and bring Lokpal. Then he does an exposé on Modi. Again it goes through the same counter arguments and counter to counter arguments. Then we start to wonder, why isn't there a Lokayukta in Gujarat. Didn't BJP support Lokpal? Why aren't they not passing Lokayukta in Gujarat? (I know you agree with that question, based on the previous comment). So, in short, he is muddying the water for sure. But slowly people are understanding the value for an independent investigation agency. He himself have said that he is putting his dignity at stake while doing these exposé's. Ideal scenario is, Arvind should go to court with these evidences. But do you think, the system is in place for someone to go court, file a case and expect the CBI to do a fair investigation? The lack of belief in the system leads to such exposé's. And he is openly acknowledging that he doesn't trust the current system of investigation. You've explained it quite well. But I've come a long way since I wrote this post. I realized that more than new laws, we need honest, capable and strong-willed people in power. Jan Lokpal is a mirage we're chasing. We need independent CBI and speedy & efficient judiciary. You might ask why I feel Jan Lokpal is not necessary. I realized that it's going to nothing but a bloated version of AAP's internal lokpal that was a total failure. In other words, Jan Lokpal will only be as effective as AAP's internal lokpal.